Honoring our motto, Preparation for Celebration, it's always a good idea to have a stocked "gift pantry" for when you need a last minute hostess gift. This cinnamon spiced dulce de leche is easy to make, will keep in the fridge for months, and doesn't take up much space - which makes it the perfect thing to make in advance and grab on your way out the door to a party. A homemade gift always makes a more lasting impression than the usual bottle of wine. I'd like to say I made this on purpose, but it was really just a very fortunate accident. I was attempting an overly-complicated pumpkin ice cream recipe (the final result detailed here) when I realized I wouldn't have time for all the steps. 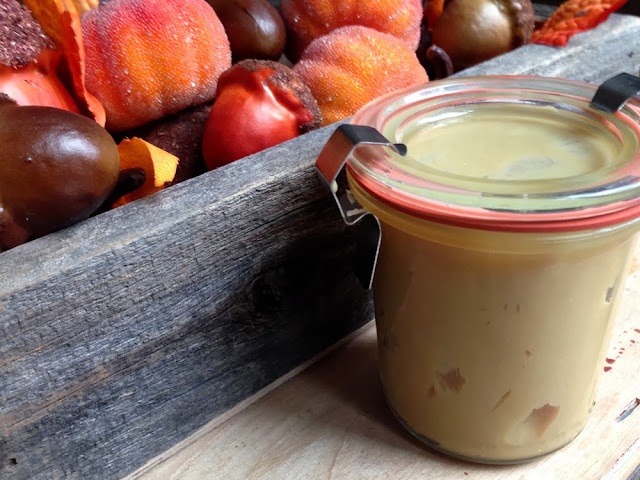 But I was already reducing some sweetened condensed milk, and I recalled from my time in a pastry kitchen in Miami that one of the Chefs would often make dulce de leche by the same process. Deciding to make it seasonal, I added a few cinnamon sticks while the milk continued to reduce. This ratio makes 2 small jars; if you want more, simply double to 2 cans & 6 sticks. 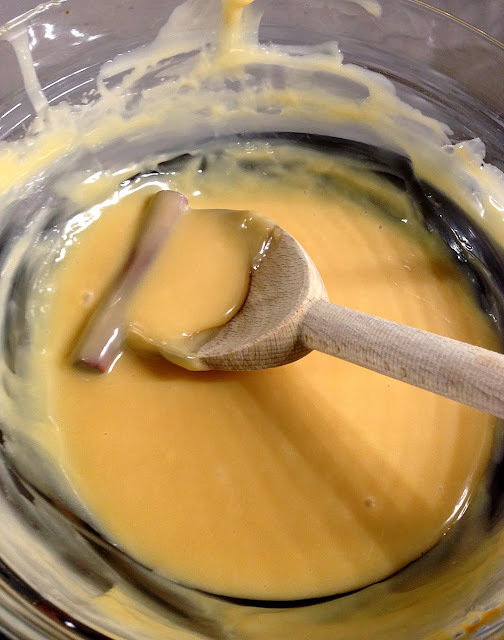 Using a double-boiler (or a bowl placed on top of a pot of boiling water as pictured - making sure the bowl doesn't touch the water), heat the sweetened condensed milk on medium-low with the cinnamon sticks in it for approximately 2 hours, stirring every 15 minutes. The color will darken as the milk reduces. 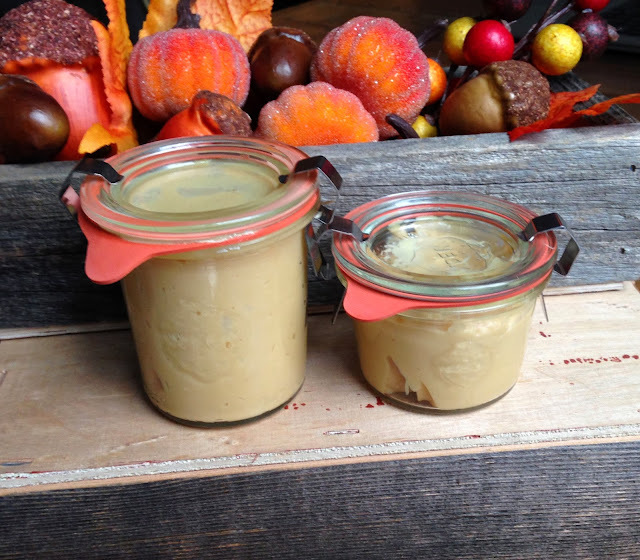 Remove the cinnamon sticks and allow the dulce de leche to cool before pouring into jars. Dulce de Leche, also known as milk caramel, translates to "candy of milk" and is very popular in South America. These jars of dulce de leche can be used on top of ice cream, sandwiched in cookies, drizzled on top of brownies, or even to sweeten coffee. Pour the finished product in a few empty Weck jars or other containers. 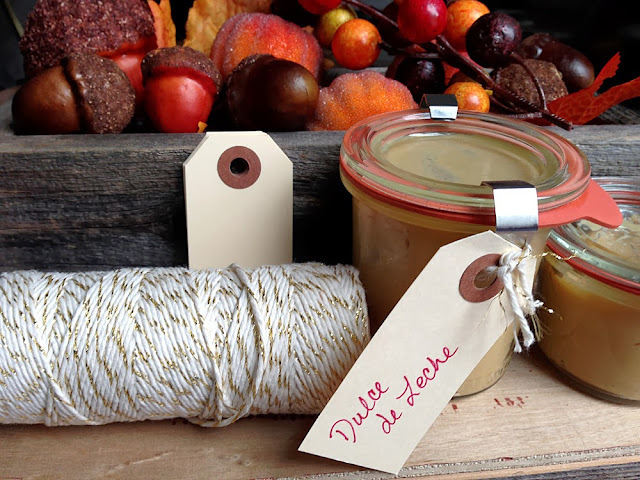 Add some gold twine and a tag from Knot & Bow, and voila! An easy, seasonal hostess gift.